Unique clip-on-earringsThere are 2 products. Unique handmade clip-on-earrings are made for women without pierced ears who too want to wear fashion accessories like handmade unique earrings from Unikatnica are. 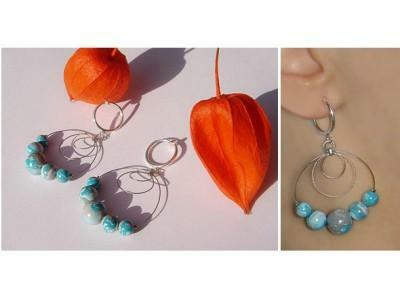 These beautiful, elegant and unique earrings are made from nickle-free materials and are easy to put on. All clip-on earrings from this collection are handmade with unique pattern and each pair of earrings is made only in one piece. Unique handmade clip-on earrings for women without pierced ears in blue-sand violet colour.